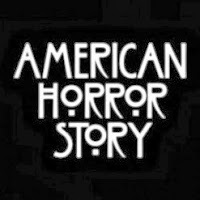 AMERICAN HORROR STORY: American Horror Story is a rare, nightmarish bird in the television genre. With each season focusing on completely different characters and storylines using mostly the same actors, the recurring themes of sin, power, betrayal, and, of course, horror, are what hold this series together. But, the disconnect between seasons can be examined in an interesting way when held up against Dante's Inferno. In fact, given a closer look, American Horror Story might just be our own personal Hell. In case you, like most people, haven't read the Inferno, here's a quick summary. Dante's Inferno was written in the early fourteenth century and is one-third of a larger epic poem known as the Divine Comedy. The Inferno chronicles the descent of Dante (the protagonist) and Virgil (his guide) through the nine circles of Hell, each of which is reserved for a certain type of sinner, with the magnitude of the sin becoming more and more grave as Dante and Virgil journey closer to Hell's center. 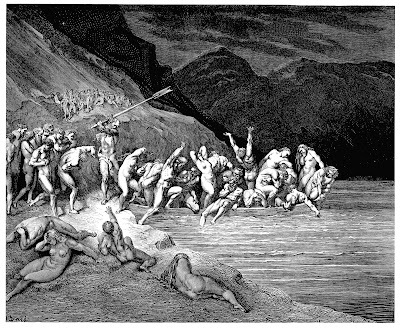 Charon ferries Dante and Virgil into Hell along with the eternally damned. As the plot moves along, things get pretty nasty down there, what with all the monsters, eternal damnation, and general Hellishness. In each circle, sinners are condemned to a fate equal to their crimes, and Dante and Virgil bear witness to all of them, finally ending up face to face with Satan himself before their tour of Hell is complete and they venture off to Purgatory. So, what does any of this have to do with American Horror Story? Well, good question. Inherently, American Horror Story doesn't have anything to do with Dante's Inferno, aside from their shared underlying religious themes. But, by putting the two in conversation with one another, we can examine American Horror Story in a whole new and fascinating way: as an allegory of Hell. In order to do this, we can think of each season of American Horror Story as a 21st century interpretation of a circle of Hell. In each case, we have characters trapped in a distinct horror plot, much the same way Dante's circles are physically distinct based on what punishment is being handed out. However, while each circle of Hell in the Inferno focuses on one of the seven deadly sins (lust, gluttony, wrath, greed, etc. 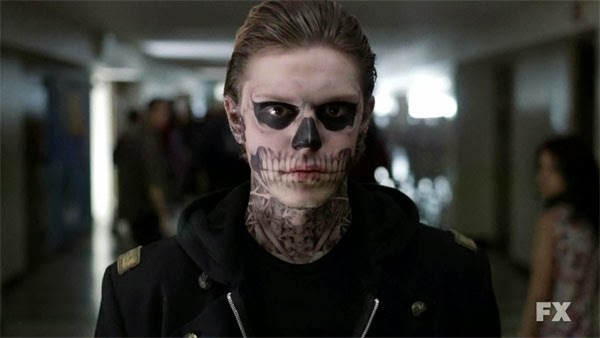 ), each season of American Horror Story tends to focus on more modern, Western versions of these ideas, as well as often addressing more than one at a time. Season 1 for example, is all about lust and infidelity, with a good smattering of murder and violence mixed in for good measure; the plot of Asylum revolves around criminal insanity, perversions, and abuse of power, and Coven concentrates on persecution, cruelty, and corrupt authority. While not all of these are explicitly mentioned within the confines of the seven deadly sins, they can most definitely be considered the sins of our much more modern time. To underline this theory, we can also look at the physical setting of each season of American Horror Story. 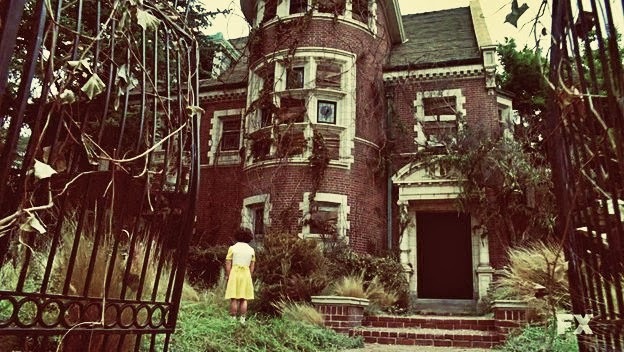 For every season, the horrors mainly revolve around a singular place: the Murder House in Season 1, Briarcliff Mental Institution in Season 2, and Miss Robichaux’s Academy in Season 3. There is also almost always a fence surrounding these locations, which creates a physical (and, in the case of Asylum, psychological) barrier from the outside world. In this way, each season occupies a new physical space in a similar way as each of Dante's circles of Hell. In the Inferno, many of the circles of Hell also have guardians that must be faced at their entrance. Dante imagines these to be figures from Greek mythology, such as Charon and Phlegyas, or sometimes monsters such as the three-headed dog Cerberus and the Minotaur. Coven's Minotaur definitely warrants a closer look in this respect. 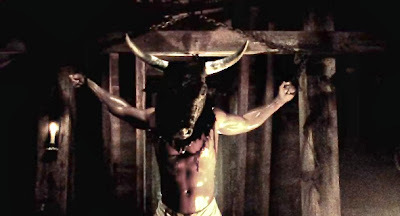 As Madame LaLaurie's creation in the very first episode of Coven, the Minotaur literally acts as the figure that draws these characters into their Hell, since he inspires the feud between Delphine and Marie Laveau, and as such can be considered both the literal and figurative guardian of Coven's circle. The decision to cast the same actors as different characters in each season can also be interpreted as allegorical. The casting could reinforce the idea that any single person is not predestined for Hell, but is capable of committing any or all sins of their own free will, or, in some cases, out of necessity or coercion. Or, each actor could represent a single soul that has been condemned to be continuously punished for his or her sins within all circles of Hell, similar to the idea of being reincarnated several times after a few bouts of really bad Karma. In addition, Hell in Dante's Inferno is reserved specifically for those souls who try to justify their sins, or refuse to repent. Likewise, in American Horror Story, repentance is a consistently rare occurrence, taking a minor role in comparison to the overarching themes of evil and power in all three seasons thus far. Therefore, all the characters could also be interpreted collectively as a representation for all sinners, proving that there isn't just one way to secure your own eternal damnation, and there certainly isn't only one version of what that eternal damnation might look like. 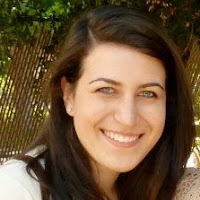 There are countless ways to interpret the characters and plotlines of Murder House, Asylum, and Coven in relation to the framework of Dante's Inferno, but one thing is for sure: within this reading, we, the audience, will always be Dante, witnessing each circle of Hell with rapt attention, the creators our Virgil, leading us carefully through as our guide. Because, after all, as any viewer of American Horror Story will attest, we yearn for what we fear. Makes perfect sense to me!.